At Washington Labradoodles, we believe it is important to carry on the tradition of breeding authentic Australian Labradoodles. It is for this reason that we have chosen our breeding stock from Tegan Park in Australia. Tegan Park is the original breeder of these beautiful dogs. We are proud to continue their high standards of breeding. The breeding farm for Washington Labradoodles is located in southwest Washington. 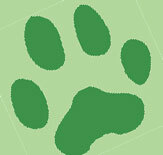 Spread across 20 acres, our farm provides ample room for our puppies and our dog Chiffon. In 2004, Chiffon arrived from Tegan Park and within a few weeks, gave birth to seven adorable puppies. As multi-generational puppies, these beautiful new arrivals possess the highly coveted traits of the Australian Labradoodle, including an allergy/asthma-friendly coat. All of these new Labradoodle puppies have since been placed with families. But we at Washington Labradoodles believe that the relationship between the breeder and the new owner shouldn't end with the delivery of the puppy. It is for this reason that we offer our two-year healthy dog guarantee, as well as ongoing support and advice for the lifetime of your companion. You don't have to live in Washington to get one of our Labradoodle puppies. We want to work with you to find the perfect addition to your family, no matter your location. Our puppies can be shipped worldwide. If you are close by, you can arrange to come to the farm to pick up your puppy, as well as meet Chiffon and us. Our online puppy application is a great way to get on our waiting list and begin the process.